Earl R. Iott, age 84, of Whiteford Township, passed away suddenly, Thursday, September 13, 2018 at Flower Hospital Sylvania, surrounded by his loving family. He was born in Petersburg, MI June 15, 1934, in his family home he currently resided. Born to Catherine (Wernert) and Howard Iott. Earl was a graduate of Central Catholic High School, at the age of 16. He was a life time farmer, a volunteer for the Whiteford Township Fire Department, vice president of the Ottawa Lake Sportsman Club, a longtime member of the Knights of Columbus, and a member of St. Anthony Catholic Church, for which he served as an usher for many years. 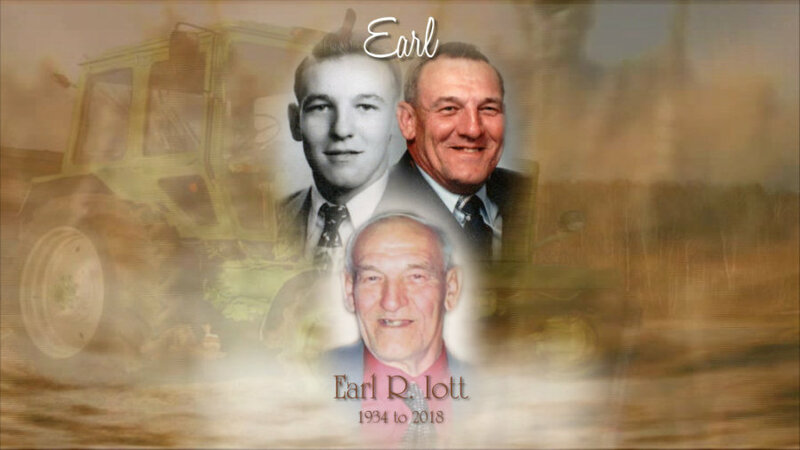 Earl also really enjoyed and was an avid fan of the game shows “The Price is Right”, the “Wheel of Fortune” and enjoyed a good competitive game of Euchre with family and friends. He married the love of his life Janice M. (Kashmer), November 8, 1958 and they would have celebrated their 60th wedding anniversary this November. He is survived by his wife, Janice, children, Vicki (Greg) Iott-Schultz, Eric (Michelle), Keith, and Alan (Benja) Iott, grandchildren, Kyle and Brett Iott and Mitchel and Mackenzie (Abe) Schultz, siblings Lee, Dort, Arvilla, Toot, Norb, Cork, Bill and Walt and many loving nieces and nephews. He was preceded in death by his parents, and siblings, Bernice, Kenny and Gerald.